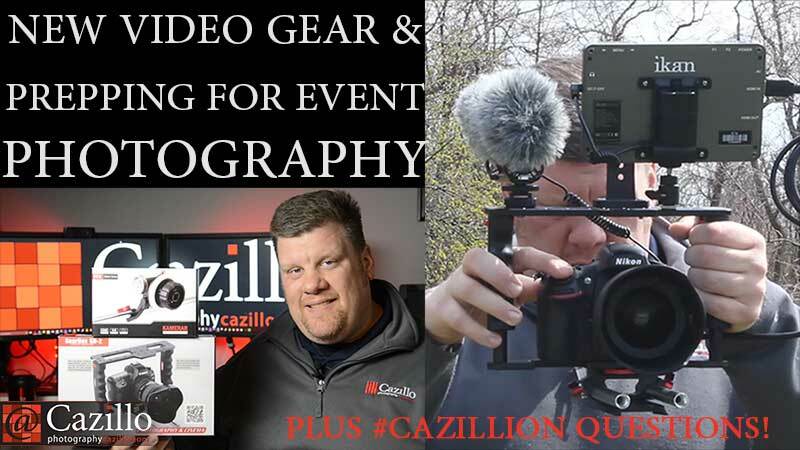 DSLR Video Gear, Prepping for Event Photography & More! Camera cage and follow focus mounting anything handheld. Greg shared some of his new video gear for filming during the show today. The camera cage allows mounting gear on top of the camera and a more stable handheld platform. The follow focus will also give more fluid focus or zooming when needed it can be mounted on the rails. Greg then talked about sports team event photography and his preparation, shooting day and processing photos afterwards. He gave some tips on products to offer and how to make your location more professional looking. Finally Greg answered questions about the P800 printer and V800 scanner. Keep shooting!